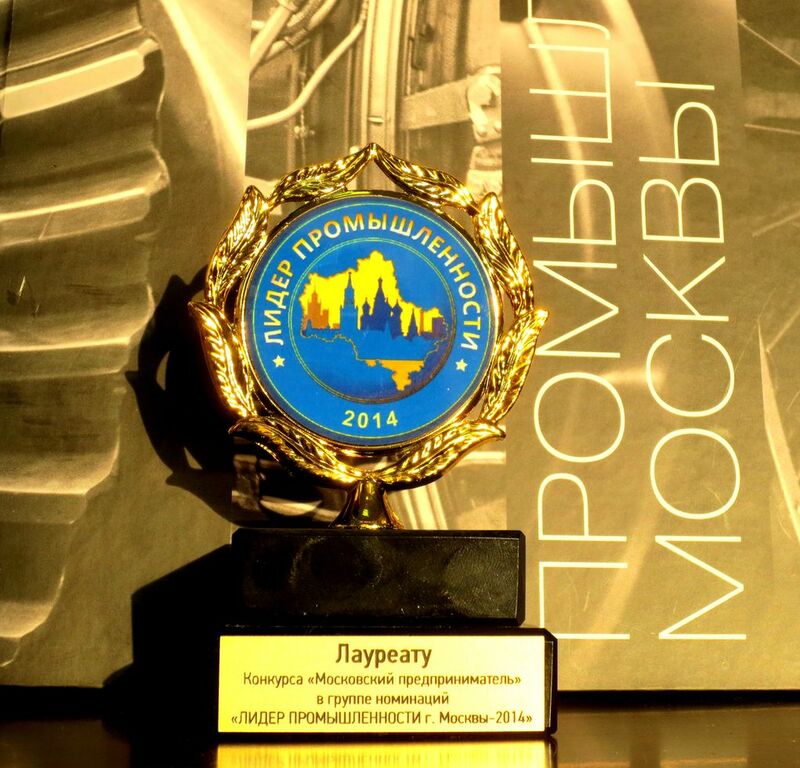 “Moscow entrepreneur” competition winner of the “Industry leader – 2014” nomination. In November of 2014 the LLC “AAT” became a winner of the “Moscow entrepreneur” Annual City Competition in the “Industry Leader of Moscow” nomination group and was awarded a Diploma and Badge of Merit. 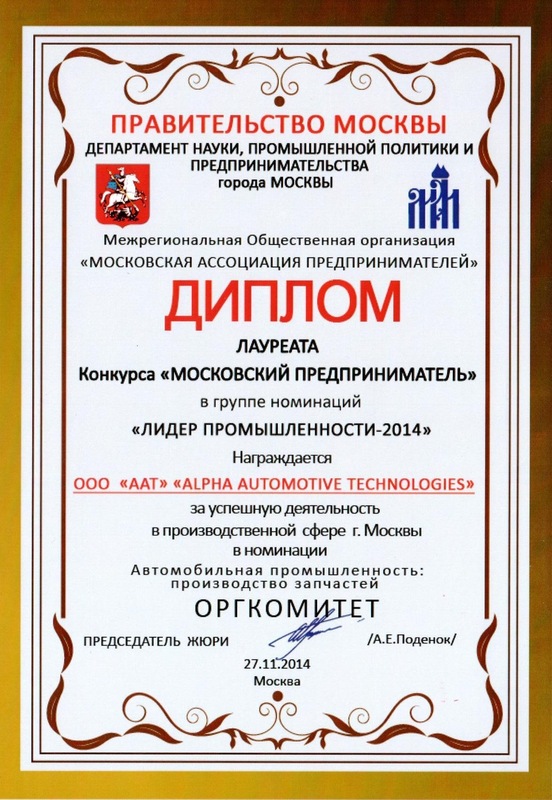 The awarding ceremony took place on the 27th of November, 2014 in “Moscow” Technopolis Conference-Center. Competition organizers are: – Moscow Department of Science, Industrial Policy and Entrepreneurship; – International Public Organization “Moscow Association of Entrepreneurs”.